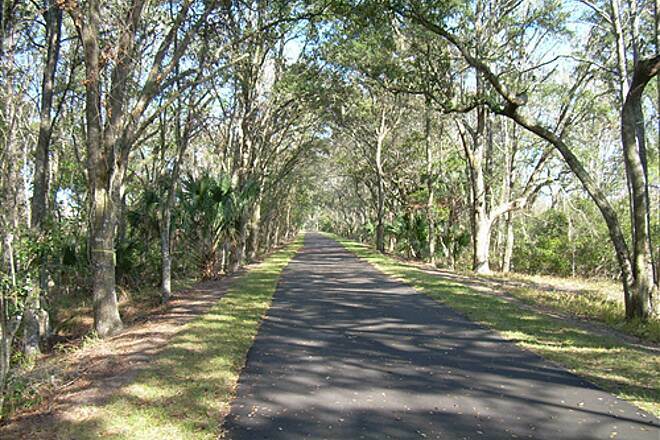 The Lehigh Trail is located in Flagler County on a former railroad corridor comprising 195 acres. 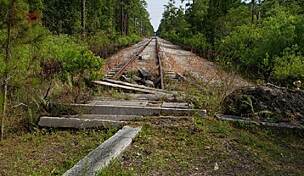 The railroad spur once carried cement and other materials to and from the Lehigh Portland Cement Plant in Flagler Beach. 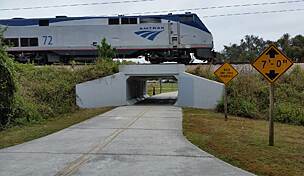 The trail connects US 1 north of Bunnell with Colbert Lane, running through the center of Palm Coast, through Graham Swamp and ending just west of the old Lehigh Portland Cement Company. 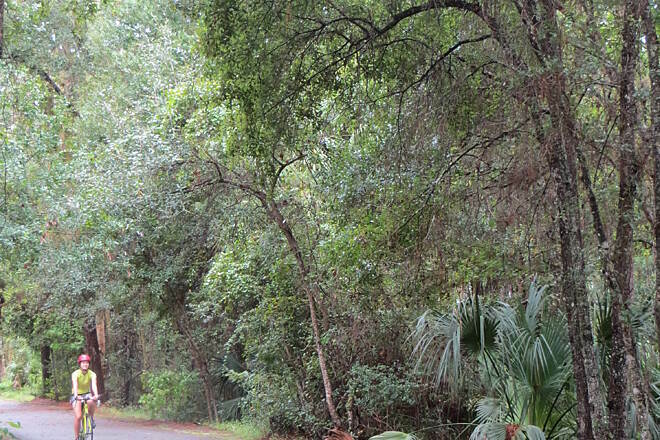 Surrounded by trees for most of the way, the trail provides a safe, non-motorized way to travel among the cities of Bunnell, Flagler Beach, and Palm Coast. 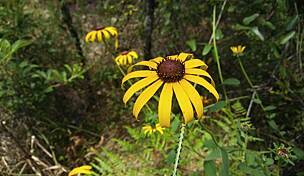 In the 3,000-acre conservation zone of Graham Swamp the trail has elevated views of the surrounding wetlands. 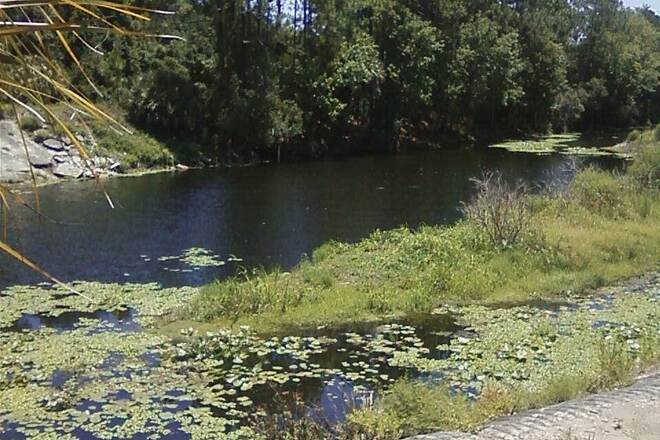 Watch her for some of Florida's wildlife species, including wading birds, waterfowl, deer, otters, foxes and alligators. The trail has three access points: Colbert Lane, Old Kings Road and Belle Terre Parkway, all of which are approximately 1.5 miles north of SR 100. 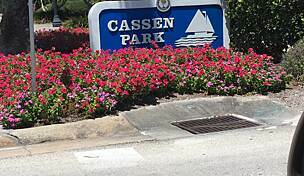 Parking on the western end is available at the intersection of Royal Palms Parkway and Belle Terre Parkway, and on the southwest side of Palm Coast. 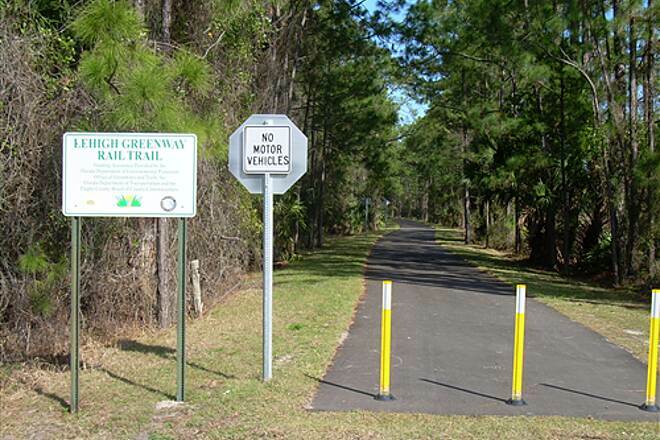 The trailhead is just south of Royal Palms on the east side of Belle Terre. My husband and I thought we were taking 6.6 mile bike ride as that is what the description said. I was pleasantly surprised to find that it was much longer that that. If I had known, I would have planned to ride longer but with circumstances being what they were, we had to cut it short at 22 miles. The path is scenic for the most part with very little stopping and starting which is what I like. I was hoping for more of a nature ride but got enough that I was satisfied. It is flat which makes it an easy ride and you can do as much or as little of it as you want. Finding the parking was a little challenging and of course there were no restrooms where parked. Very nice, flat paved trail. Wide enough to accommodate walkers and cyclists easily. Beautiful trees with Spanish moss and swampy areas to enjoy! 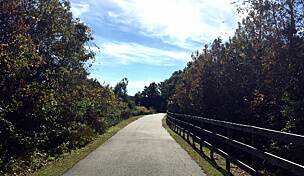 Lehigh trails are wide open and clean...Palm Coast does an amazing job keeping the trails clean. Love these trails! Some shade and some sun! Three of us rode this trail this weekend. It's was well used but not crowded. The trail itself is in good shape and was a really nice ride through wooded areas. There are canals that you cross and that you ride along. 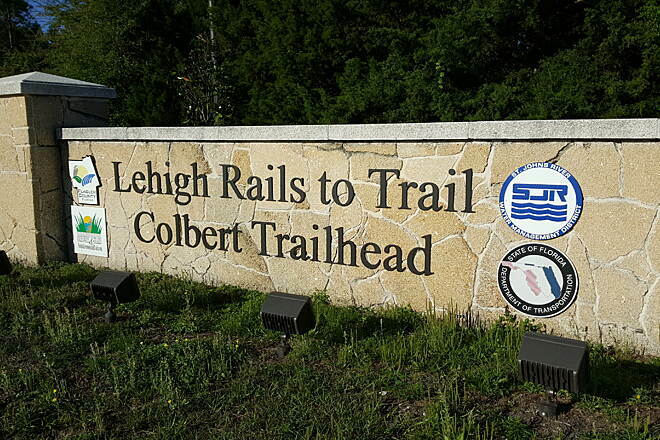 The trailhead at Colbert lane had clean bathrooms and the parking was good. We started at Colbert lane and rode to us 1. In order to get in some extra miles we did some loops in the neighborhood to the north. There are bike paths along many of the roads. We turned north off the trail at Rymfyre. 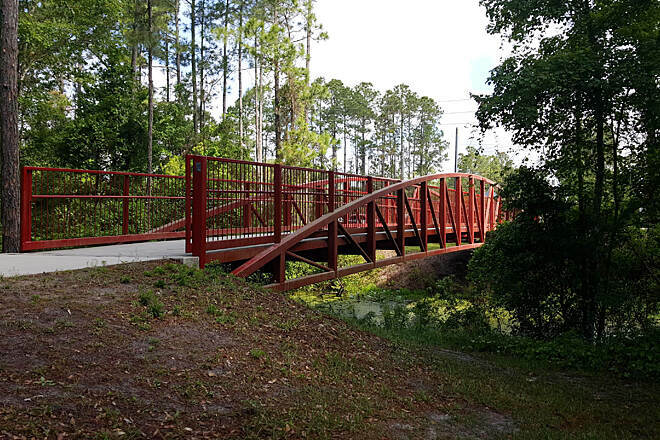 There is a bridge that links the trail to Rymfyre. A little north (probably less than a mile) on Rymfyre there is a park with clean bathrooms next to an elementary school. We enjoyed our ride on the trail and the option to connect to other bike baths makes this a nice ride with options. This is a great trail. 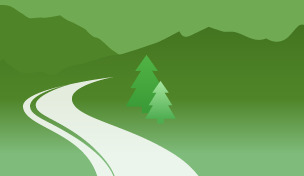 The app shows the trail as starting at US1. However, this is is essentially the end of the trail and there is no parking available. 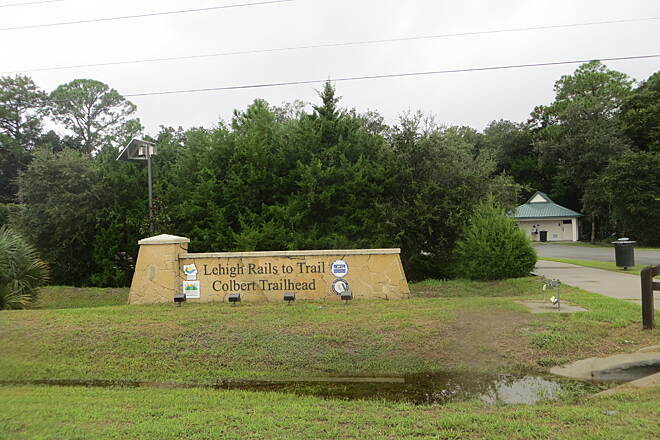 There is a very nice trailhead on Colbert Lane with parking and restrooms. There is also a small amount of parking in the dirt at Belle Terre Parkway, about 1/2 way through the trail. We rode the trail from the trailhead off of Colbert Lane to the end and back. The trail is paved all the way and only two major road crossings. Except for a few sections the majority is in the shade as long as its not in the middle of the day. It comes close to some houses but mostly there are none in sight. I think if we had come earlier in the day we would have seen more wildlife. All in all a positive experience. I parked at the Colbert St. trailhead. The bathrooms were clean, and there was plenty of parking. You have to go down the street a quarter mile to get to the trail. The trail itself was quiet and away from any roads and traffic, minus a couple intersections where the trail crosses roads. The county Sheriff was patrolling on a motorbike, so that added to the feeling of safety. There is shade over almost the whole trail for most of the morning and evening. I would definitely recommend this trail, and I will do it again. 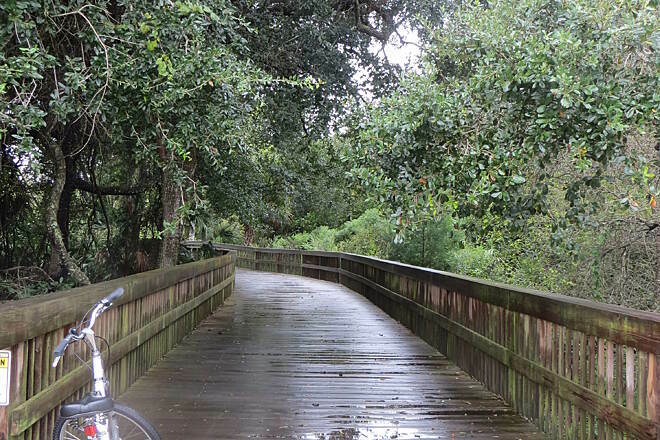 This great little trail is but a small connection to the great system of trails Flagler County offers. 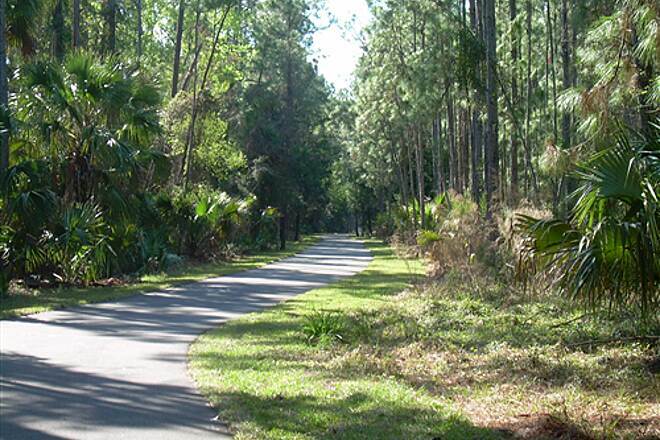 Come out on Colbert Lane and go north to the Linear Park running through the center of Palm Coast Parkway (about 6 miles). Go west to the myriad of restaurants along the Parkway for a meal break. Head west to US 1 and go north for miles along open space. 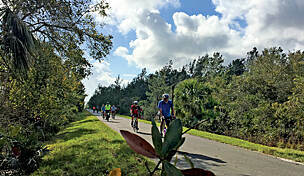 Or, go east on the Linear Trail to the bridge over the Intracoastal Waterway and then ride alongside scenic A1A south to Flagler Beach and Daytona (Volusia County) or north to St. Augustine (St. Johns County), almost never touching the traveled roadway. 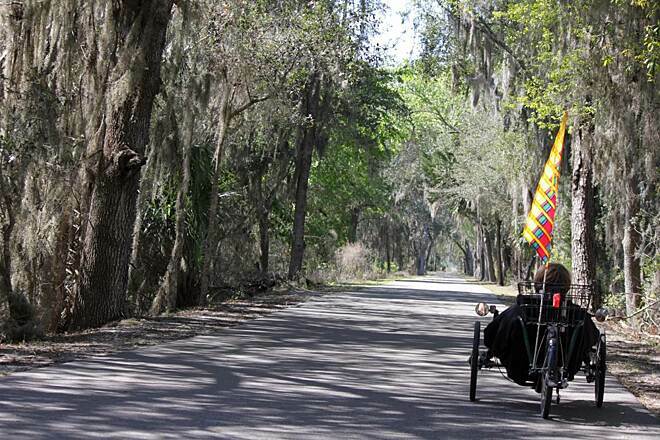 We stopped to ride this trail on the way to St Augustine and this is a real gem of a trail. The Colbert parking area is finished and there's restrooms as well. The trail has excellent tree cover for nearly its entire length. 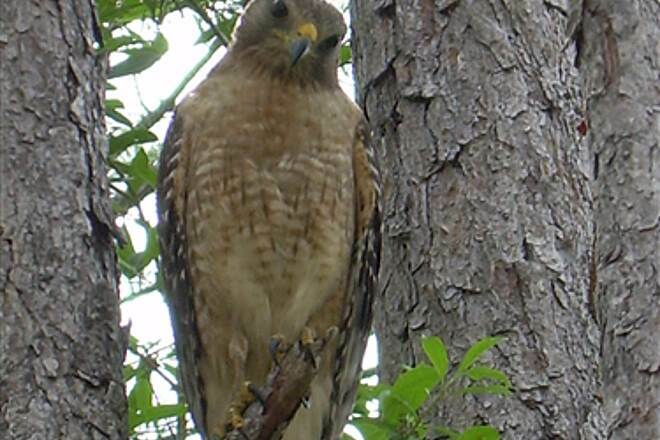 The eastern segment travels through an interesting mix of swamp, hardwood hammock, and pine scrub. This isn't the longest trail in the state but I would say it's one of the better ones. There is construction underway at the Colbert Lane trailhead for a parking area. 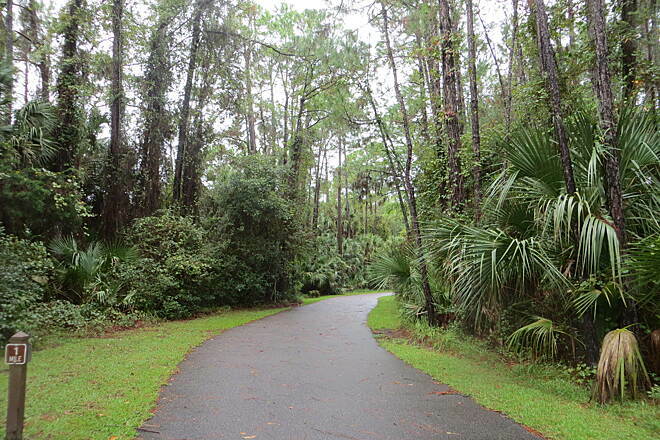 Currently there is limited parking across the road there at a defunct development but you can reach the trailhead from Linear Park in Palm Coast by riding along Colbert Lane for 6 miles beside the road. This also takes you by the Graham Swamp Trail (off Colbert Lane as well) which is not to be missed. 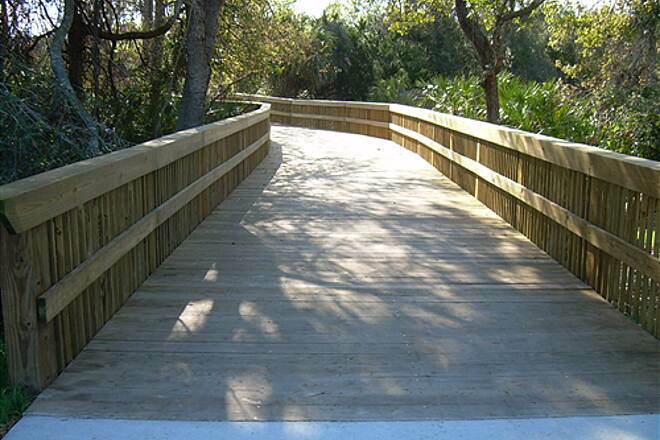 It's only a couple of miles long but includes some very long and well made boardwalks. The Linear Park has some nice shorter trails. 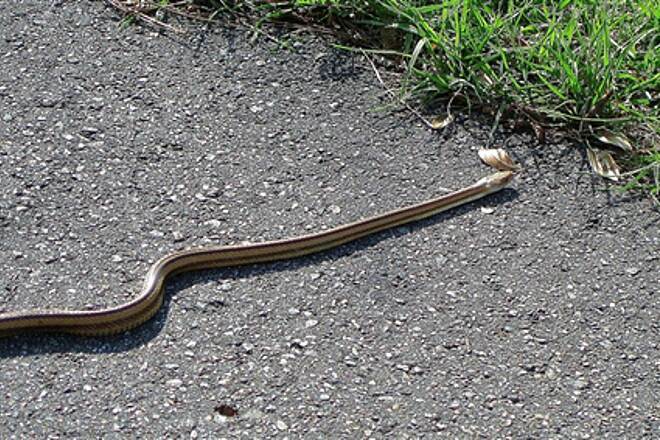 It can also be accessed from the Colbert Lane parking area near Daytona State College off the Palm Coast Parkway. This is a scenic trail but very short. 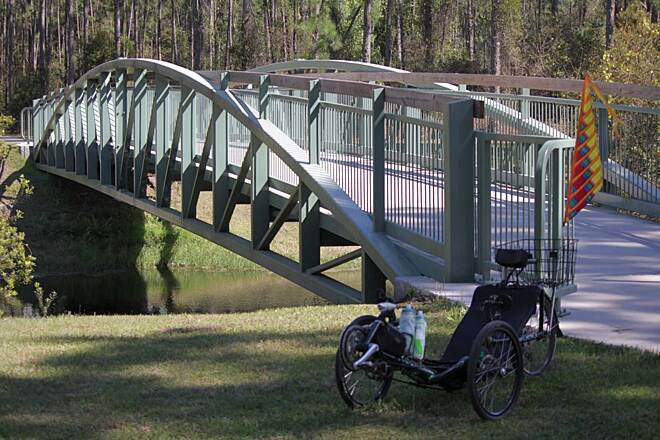 It can be extended by riding on some trails, sidewalks & Colbert in Palm Coast and AIA along the coast. You can also cross a toll bridge (no charge for bikes)into PC. 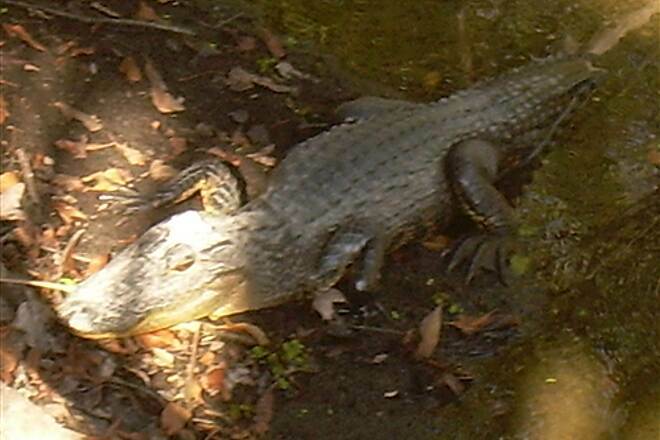 I saw a gator under a bridge near the east/smokestack trail head. The trail lacks amenities, so bring your own water, snacks; & pee before you start. I ran this while on vacation visiting friends in Palm Coast. 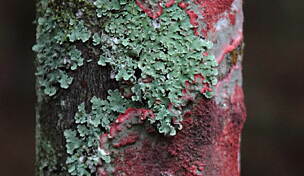 It's a little tricky to find if you're not familiar with the area, but it's worth it. The west end of the trail has a parking lot and is easier to find for out of towners. 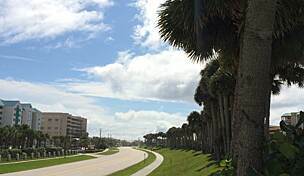 Just look for the intersection of Royal Palms Parkway and Belle Terre Parkway on the southwest side of Palm Coast. 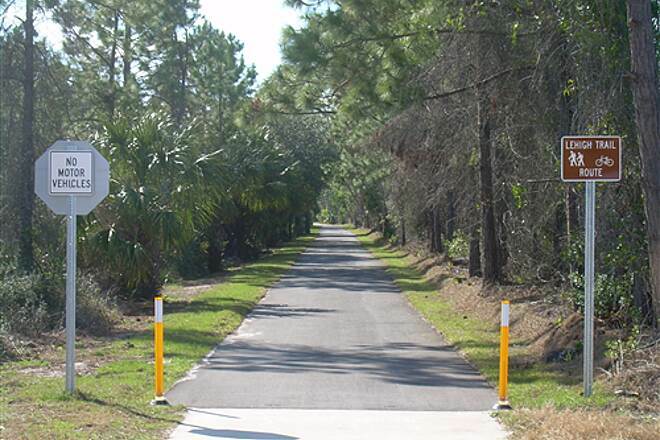 The trail entrance is just south of Royal Palms on the east side of Belle Terre. It seems brand new and the asphalt is in great shape. There's benches and trash cans about every mile or so. As it is nearly four miles, end to end, it makes a perfect eight mile run in the morning. Very few folks on the trail at 0800 on a weekday. This was my first run on a Conservancy trail and I am really impressed. Guess I will pony up some dough for the cause! Good job. 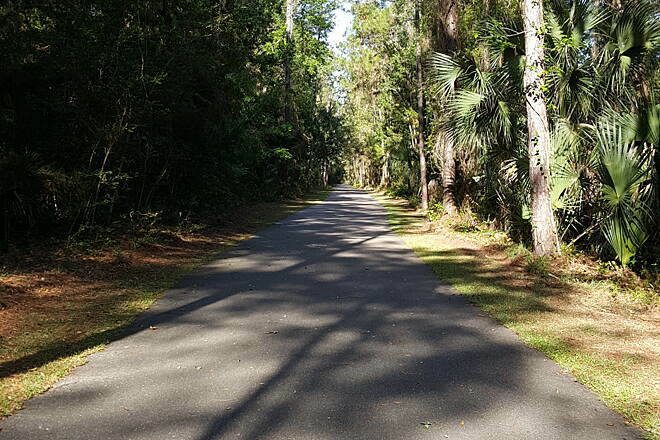 This is a nice quiet trail that follows one of the major canals in Palm Coast and through the Graham Swamp Conservation Area. The eastern end of the trail begin just North of the old cement plant chimney off Colbert Lane. Parking is road side only here. 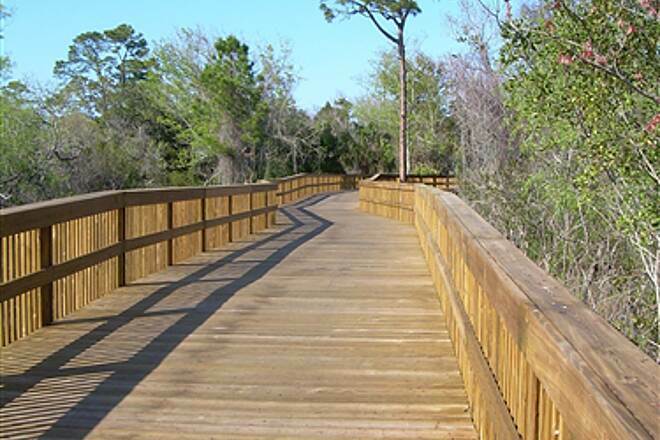 The trail starts with a wooden bridge and goes west for a couple hundred yards through the Graham Swamp Conservation Area and continues on to the old railroad bed. 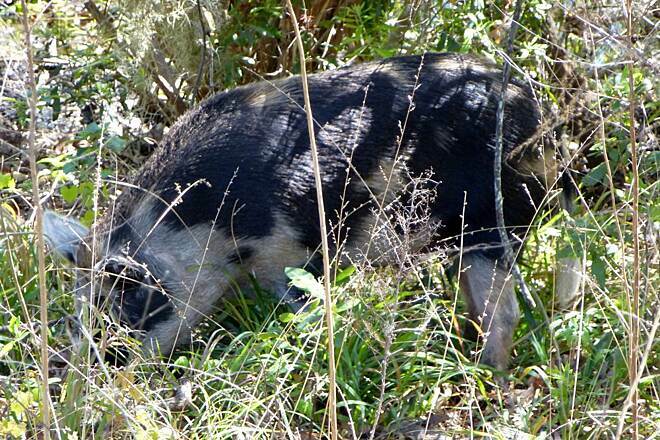 This is a very active wildlife area with Birds, Alligators, Turtles, Snakes, Deer, Armadillos and Ferrel Pigs. This section continues for 1.95 miles to and crosses Old Kings Road (small dirt parking lot located here) and follows Town Center Blvd, under Interstate Rt. 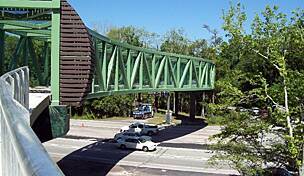 95 for about .32 of a mile and then crosses over Town Center Blvd at the intercetion of Royal Palm Parkway. The path continues west for about a mile and a half through a pine forested area along the canal. It ends at Belle Terre Parkway. (Another dirt parking area is located here) This is a very nice section of the trail with an abundance of shade and quiet riding. I live a mile from the west end of the trail and ride it often. 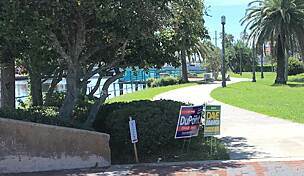 Side trips through the new Town Center at Palm Coast provides connections to other parts of the city and 3 miles from the east end of the trail is the small ocean side city of Flagler Beach. I have enjoyed the cities addition of this trail.